The Government has committed to a target that all new homes must meet a zero carbon standard by 2016. 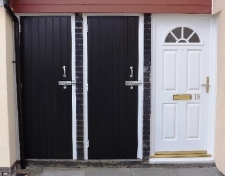 In response we have developed TimberSmart Regeneration Outhouse Doors & Gates. TimberSmart Regeneration Outhouse Doors are made from recycled plastics and offer a cost effective, long life solution to outhouse & gate needs. Manufactured from recycled polystyrene using a modified extrusion process, they can be recycled again and again. Typical components include packaging materials, milk bottles and plastic cups. 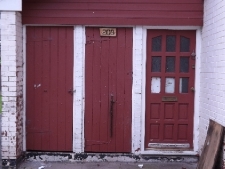 Local Authority using timber store doors? Hart & Co has been working with local authorities, housing associations and commercial developers for more than 30 years. We have the to capacity to design and manufacture bespoke, low maintenance door packages which offer a cost effective alternative to traditional timber doors. If you think TimberSmart regeneration outhouse doors offer a solution to your outhouse needs we would be pleased to speak with you. For more information contact us on sales@hartandcompany.co.uk.